This boot features 360° Snake Guard to provide the ultimate in snake bite protection as well as outstanding maneuverability and flexibility! 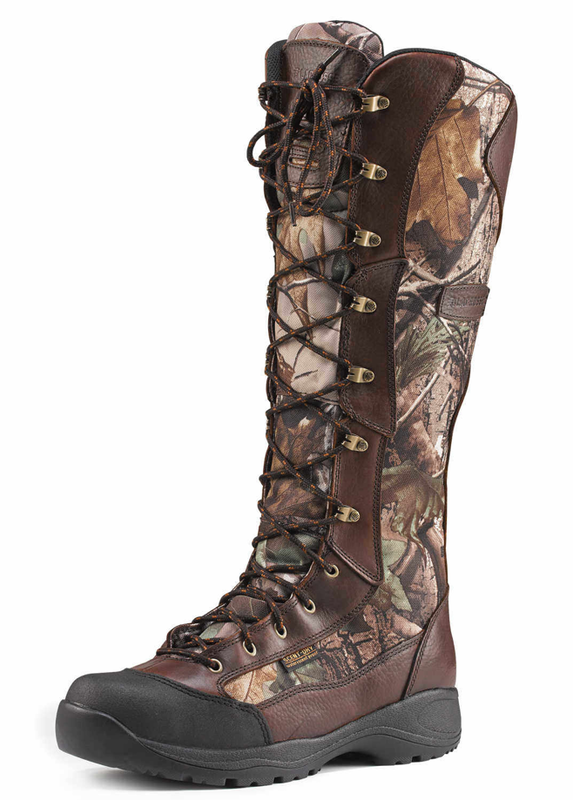 The entire boot is lined with Dry-Core, a waterproof, scent-free barrier that prevents water from entering the boot. Scent Suppressing material adds antimicrobial fibers in the boot’s liner to also fight odor-forming bacteria. An EVA midsole and PU footbed offer extra cushioning to ensure all-day comfort. In addition, the boot features a steel shank, a reinforced abrasion-resistant toe cap, and a Low Country outsole that increases traction and sheds debris and mud. The boot laces up from the toe and features a side zipper for easy on/off. Realtree APG camo pattern.